Several years ago I stepped foot in a Les Mills gym on the whim and encouragement of a friend. What started as a two-week trial transformed into a side-job as a Group Fitness instructor (GFI) which sees me spend upwards of 20 hours a week in the gym. A dedicated ‘gym-bunny’. It is easy to pigeon-hole GF instruction as a profession of ego. Although I’m sure this exists, in my experience, most GFIs are in the game for a love of fitness, the energy of being around likeminded people or to help others succeed. At its core, group fitness is a great way to switch off to the trivialities of life and get a decent workout at the same time! As a fulltime physiotherapist and GFI I am passionate about helping people recover from injury and in prevention of injury through exercise and rehabilitation. Exercise has become a cornerstone of my work and social life. I am nearly always on my way to or from the physiotherapy clinic or gym. In each field there are similarities and differences, but I find them the perfect adjunct to one another. I am able to bring some science and biomechanical intellect to the classes I teach and – equally – a wider base and understanding for exercise prescription to clients as a physiotherapist. While group fitness is not for everyone – I don’t advocate for it as such – it is a great way for a niche of everyday people (with their own fitness goals) to unite in a positive way and to achieve very individual goals. 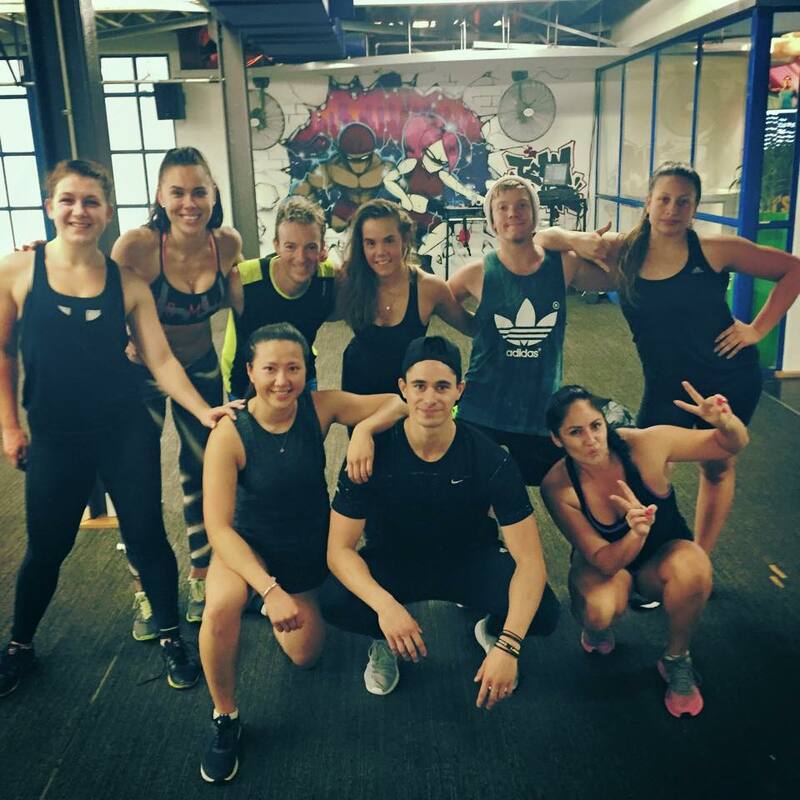 The picture below was taken after a 60 minute GRIT workout – essentially a high-intensity interval training class involving strength, cardiovascular and plyometric elements. The added buzz – everyone working together!